"This miry slough is such a place as cannot be mended; it is the descent whither the scum and filth that attends conviction for sin doth continually run, and therefore it is called the Slough of Despond; for still, as the sinner is awakened about his lost condition, there ariseth in his soul many fears, and doubts, and discouraging apprehensions, which all of them get together, and settle in this place. And this is the reason of the badness of this ground." --John Bunyan, The Pilgrim's Progress. "Unless the two sides can reach agreement, historic tax hikes are set to hit virtually every American on Jan. 1, potentially driving the nation back into recession. An impasse would also throw the coming tax filing season into chaos, as nearly 30 million unsuspecting taxpayers would be required to pay the costly alternative minimum tax for the first time." 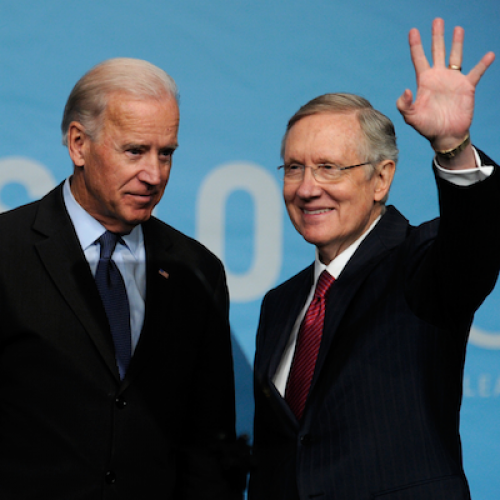 --Lori Montgomery and Paul Kane, "Biden, McConnell Continue 'Cliff' Talks As Clock Winds Down." Your president has sold you out. A deal will likely be announced today canceling the scheduled income-tax increase on all family income below $450,000, instead of the promised $250,000 threshold, which was already too high. It will also extend unemployment benefits and what my colleague Jon Cohn calls the "refundables," i.e., tax credits for lower- and middle-income people, and it will cancel Milkageddon, which is all good. But it isn't clear what it will do about the automatic cuts in the "sequester," and the deal doesn't appear to include extension of the payroll tax cut, which even Bill Kristol wants to extend. Also, the Democrats mostly caved on letting the inheritance tax rise. Oh, and the deal gives Republicans carte blanche to take America hostage all over again in a month or two over raising the debt limit. Please vote against this bad deal so we can greet the new year on the far side of the fiscal cliff, which, notwithstanding the hysteria that the Washington Post is doing its best to spread (with an assist from the Senate chaplain! ), is not the Slough of Despond. It is the Promised Land, a place where Democrats will have considerably more leverage than they have today to compel a quick deal far more to their liking. The White House means well, but it has bargained incompetently. As Jonathan Chait points out, any worry on the White House's part that it will be undercut by Senate Democrats too eager to make an even-worse deal is matched by a well-founded fear on the Senate Democrats' part that the White House won't hang tough. And anyway, the president has veto power, for crying out loud! Ezra Klein reports that the Democrats think they can make a deal now, force another tax increase later, and still get Republicans to back down on the debt ceiling. This is delusional. Any Republican who at this point believes Democrats will drive a hard bargain must be judged a fool. You can change this calculus by demonstrating the fortitude that has abandoned President Barack Obama and Vice President Joe Biden. Do not "come together." Stay apart. Until it's 2013. PS Tell your Republican friends that any vote for a deal before Jan. 1 is most definitely a tax increase, while any vote for a deal after is most definitely a tax cut. You might remind them that the Club For Growth thinks so, too. Update, 1:15: Sam Stein and Ryan Grim of the Huffington Post have a more thorough summary of the deal here. Nevertheless, this is still a crappy deal, and Democrats should still reject it--or be quietly pleased if House Republicans reject it (as they're threatening to do). Somebody in the Obama administration persuaded Paul Krugman that if Obama had waited past Jan. 1 he might have lost his chance to extend unemployment benefits and the "refundables." I can well imagine that an administration aide would say this, but I don't believe there was ever serious risk of this happening. Remember, after Jan. 1, Obama was going to have more leverage, not less. And it would have been easy for Obama to use GOP recalcitrance on these issues to make Republicans look like they care about the affluent at the expense of the poor and middle class--as Obama did, for instance, last year when Republicans opposed extending the payroll tax cut. It's worth repeating that the payroll tax cut, deplorably, is not extended in this deal. Also, at this writing it looks as though the deal won't do anything to prevent sequestration. Instead, it will likely delay it. So we're going to have massive automatic spending cuts after all. The fact that these cuts would fall heavily on defense spending leaves Democrats decent leverage to work out a deal to reduce other discretionary-spending cuts. But letting the cuts fall on defense and letting taxes rise on all incomes would have given Democrats a lot more leverage. And instead of one choke point (fiscal cliff deadline), we now have three (fiscal cliff deadline plus sequestration cancellation plus debt ceiling increase). Also, it turns out the House isn't going to vote on the deal until Jan. 1 at the earliest. So Obama gave up a lot of ground and House Republicans still didn't have to vote on this thing until they could call it a tax cut. Citizens For Tax Justice is so appalled that it's saying no deal would be better than this deal: "This would merely allow the tax rules to revert to those in place at the end of the Clinton administration. Given the economic prosperity experienced at the of the Clinton years, it’s difficult to believe that this more fiscally responsible approach will have a significant adverse effect on our economy." CTJ is bluffing, I think. Remember, the Congressional Budget Office says leaving everything in place will send the economy back into recession. On the other hand, if the fiscal cliff has already eroded consumer confidence and stifled investment, we may get that recession anyway. The sequester will still need to be stopped, but--remember--the deal doesn't resolve that problem. So the case for inaction on taxes, while not great, isn't as awful as it might seem.